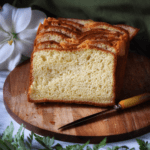 Crescia al Formaggio is a traditional Italian Easter bread which is savory and flavorful. This airy and light yeast bread is made with a combination of cheeses and eggs. 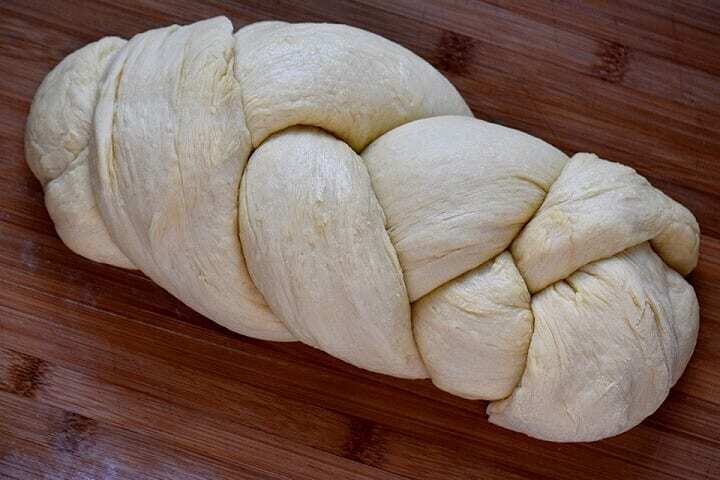 Your whole kitchen will smell amazing as this Easter bread is baking in the oven. Traditions… What do they mean to you? For me, the holiday season always brings to mind childhood memories of family and friends coming over and gathering around a large table laden with food. I’ve said it before, and I’ll say it again: I grew up seeing that food brings people together. But I don’t think that traditions need to stagnant. Traditions evolve and change as families do. When my mom and dad passed away, some of our old holiday traditions had to change, but some stayed the same, and many new ones were forged. 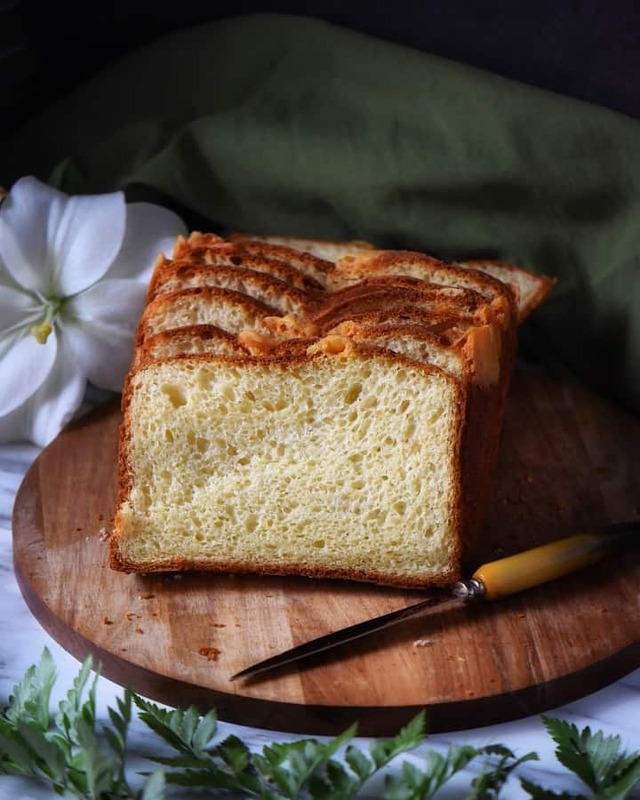 As Easter approaches, I am reminded of one such new change – a recipe for an Italian Easter Bread that my friend Lori and her cousin Simi shared with me. 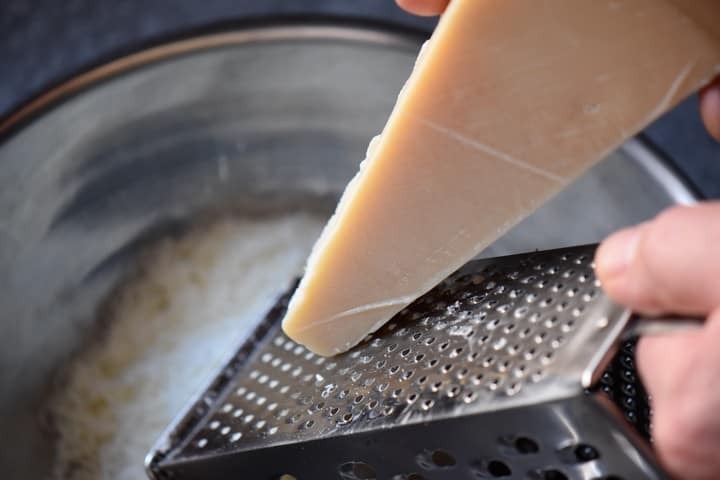 The crescia in Crescia al formaggio literally means “to grow”, and how appropriate is that for a new tradition? 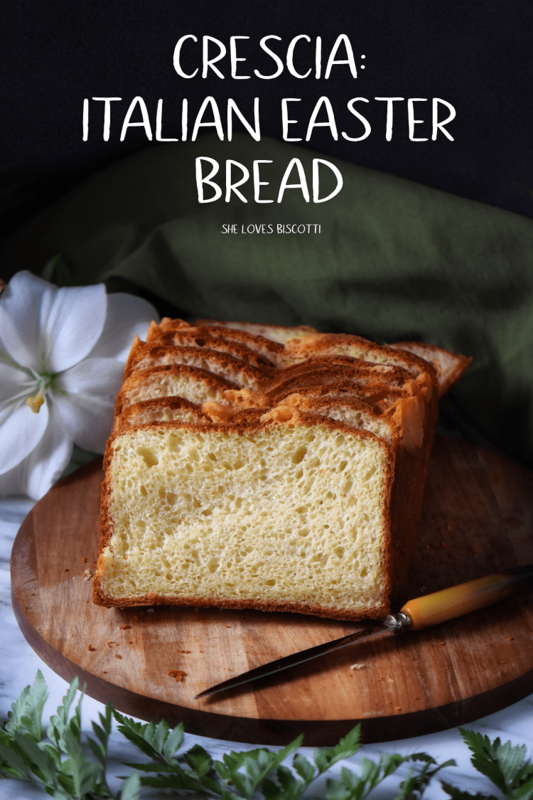 Today, I’ll be sharing this savory Italian Easter bread recipe with all of you. 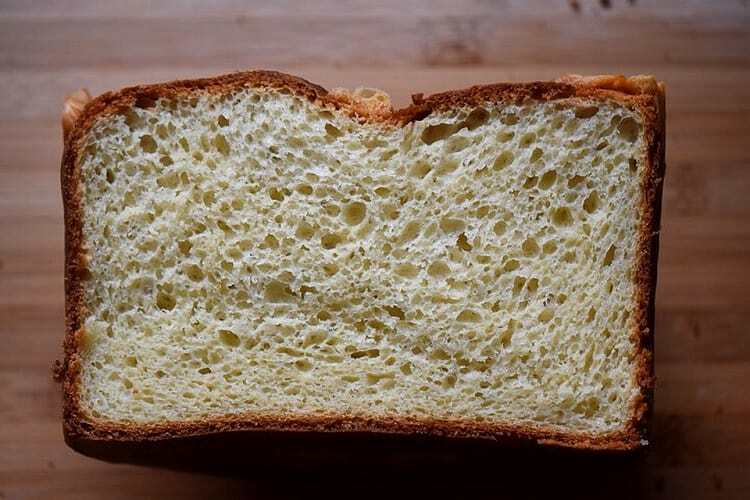 The whole process of making this Italian Easter Bread starts with yeast – this is a yeast bread, after all. set aside for about 10 minutes for the yeast to proof. In the meanwhile, we will grate some of the cheeses. The first two cheeses are grated, the later is cut in chunks. You will notice that I used the medium sized holes of my box grater and not the small holes. 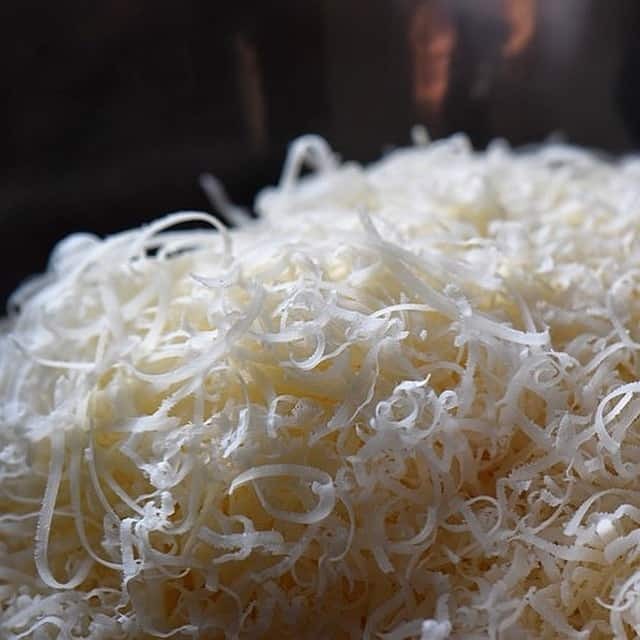 Once the two cheeses have been grated, combine them thoroughly with the flour. incorporate the chunks of cheese. with a wooden spoon, incorporate the chunks of cheese. 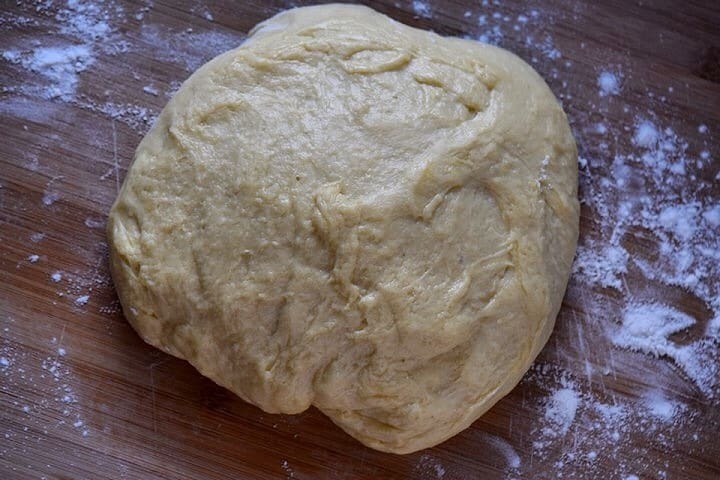 Regardless of which method you use, at the end of the kneading process, the dough should be soft but not sticky. I must mention that the original recipe called for chunks of cheese to be scattered throughput the dough at the end of the kneading process. Unfortunately, I am living with a cheese monster (also known as my husband 🙂 ) and so I only had enough cheese to scatter a few pieces over the top. Divide the dough in half and place into your greased pans. in order to achieve height -for the sake of convenience, I used a loaf pan. I had a little fun with this Italian Easter Bread and decided to braid one of my halves before I placed it in my loaf pan. Once the dough is in the pan, cover loosely with plastic wrap and allow time to double in size. This can take up to 2 hours. Bake in a 350°F oven for about 45-60 minutes with the oven grate set at the bottom. If the bread is taking on too much color (ie burnt tops) place a piece of aluminum foil loosely over the top or/and reduce the heat to 325°F. As every oven is different feel free to adjust baking time. A good indicator that the bread is done is hearing a hollow sound when the top is tapped. I cannot even begin to explain the aroma that was coming from the kitchen as the loaves were baking… I couldn’t wait to taste this Italian Easter Bread!! As soon as it was hot enough to handle, I removed it from the pan and sliced it. I probably should have waited, but the smell was just too good! 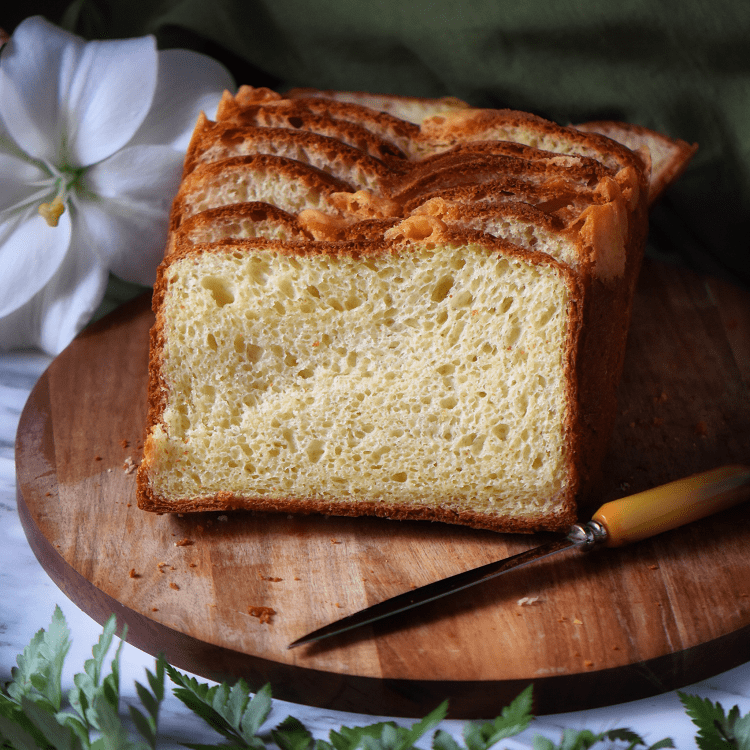 This Italian Easter Bread is definitely a cheese lover’s delight! About a year ago, I had a wonderful conversation about the importance of traditions and family with Lori, a colleague of mine. Specifically, we were discussing how the vast majority of the Italian community in Montreal maintained their families’ Easter traditions. During the conversation, we also talked about how eggs and cheese and ricotta are used in so many traditional Easter dishes (I just recently shared my mom’s Rice Ricotta pie, but there are other savoury Easter pies that I will link to at the end of this post). A few days later, Lori provided me a typed copy of her families’ Crescia al Formaggio recipe. Lori explained to me that she and her cousin Simi continue to make this bread every Easter to carry on the tradition of their twin mothers. The origin of this recipe can be traced back to a region in Italy called “Le Marche“. This area is situated in central Italy and borders Tuscany, Umbria and the Adriatic Sea, among other areas. Lori’s and Simi’s moms were from San Lorenzo in Campo; their dads were both from Pergola. Both of these towns are in the Provincia di Pesaro, a town that borders the small but beautiful country of San Marino. I feel very privileged and extremely grateful to Lori and Simi for sharing their family recipe with me. 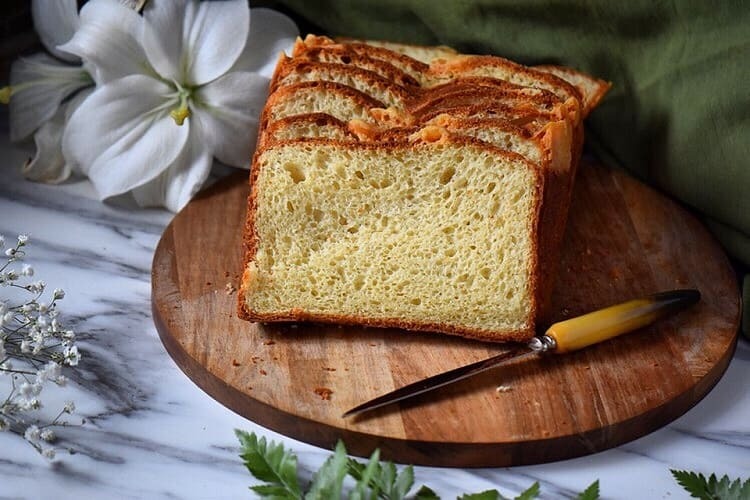 This Italian Easter Bread, aka Crescia al formaggio, is the perfect bread to have at Easter as part of your appetizers or alongside your meal. This is also the perfect recipe to start a new tradition… I know I will! Transfer to a small bowl and stir in the yeast and the sugar. Allow to proof for about 10 minutes or until frothy. Whisk together the flour and both cheeses. Add salt and pepper taste. Set aside. In a large mixing bowl (of stand mixer) whisk eggs at medium speed for 2-3 minutes. Add the yeast mixture and the room temperature butter and whisk for a few minutes. Switch to the dough hook and add the dry mixture (flour, cheeses, salt and pepper). 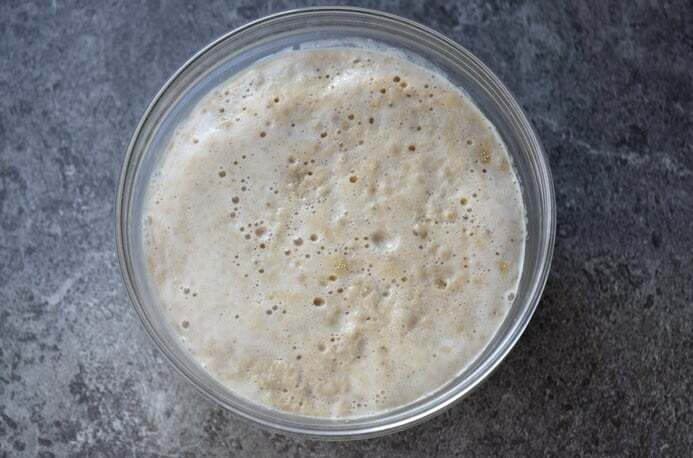 Knead for about 10 minutes until smooth and pulls away from the sides. Alternately, you can knead by hand. With a wooden spoon, incorporate the chunks of swiss cheese. Divide the dough in half and place into your greased loaf pans. Cover loosely with plastic wrap and allow time to double in size. This can take up to 2 hours. Preheat oven to 350°F and set the oven grate at the bottom. Bake for about 45-60 minutes or until a hollow sound is heard when the top is tapped. Remove from oven when done and allow to cool before slicing. Prep time includes a 2 hour period for the bread to double in size. I used about ¾ teaspoon of white pepper. Bread is best consumed the day it is made. Can also be frozen for up to 3 months. One serving is the equivalent of a 1/2 inch slice. What a lovely history of this special variety of Easter Bread, which I had not been familiar with. I have never made Crescia and this is so tempting. It looks so soft and so delicious and Easter is on its way! I am planning to make lots of nice food for Easter. Thank you for the recipe! can you use almond flour instead ofAPF? It is sad to see traditions change (or disappear) over time, but it is important to remember that what we consider a “tradition” now has likely changed and evolved over time and was not always that way! We need different things at different times in our lives, and we should be willing to adapt to our circumstances while maintaining our heritage. This reminds me so much of my favourite kind of brioche, Maria, and adding cheese to that elevates it to an epic level, in my opinion. I am looking forward to trying your bread. Thank you for sharing.